Rental, leasing, and services for equipment-driven industries deal with a daunting mass of information. This data comes from diverse entities and sources. In addition, it needs to work 24/7 for operations, financials, short- and long term planning. Furthermore it needs to handle business and government relationships, and of course customers. Due to today’s marketplace you’re dealing with huge paradigm shifts for rental and leasing scenarios. 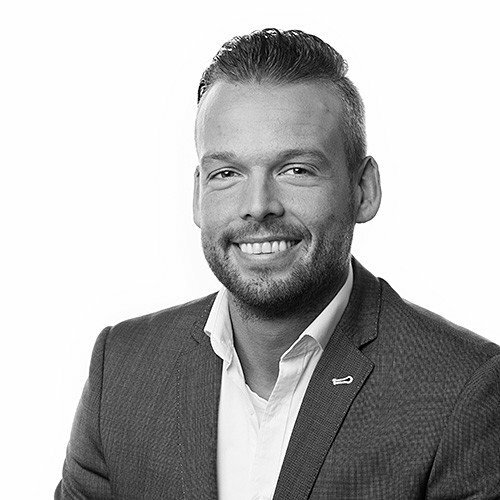 You have to deal with mobile technologies and devices, omni-channel interfaces and sites, new options for invoicing and payment. And this is just the start. Furthermore, everything’s connected—or it can be. 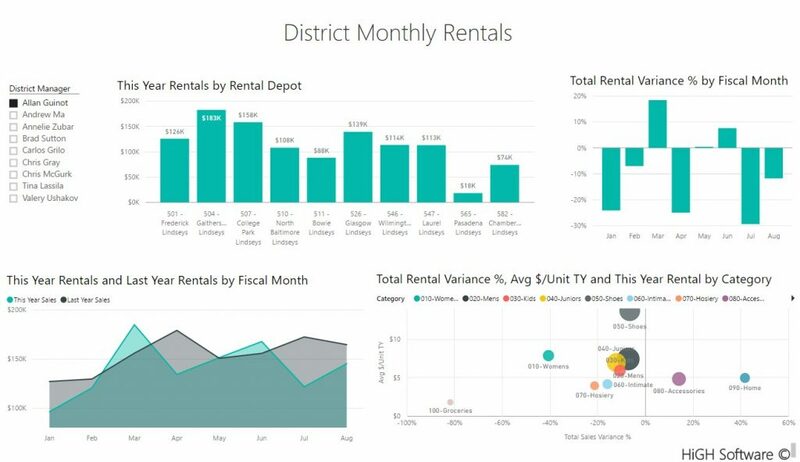 If you combine BI tailored to rental, leasing, and service industries with Power BI and other third-party BI tools. Let’s look briefly at how DynaRent Equipment Rental Business Intelligence lets you create a continuous feedback loop for tactical and strategic insight. DynaRent Business Intelligence enables you to create customized, independent reports and graphical analyses using your preferred tool. Utilize combined collections of data specifically designed for the equipment rental, lease and service industry. 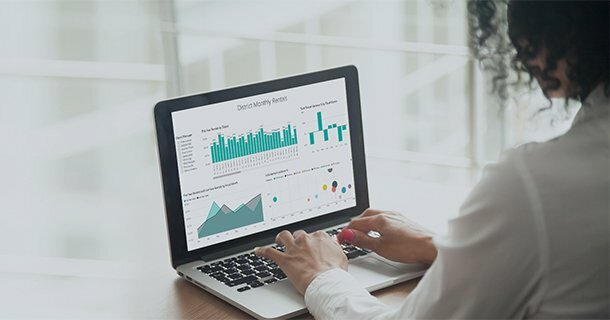 Equipped with precise data organized the way you need, you’ll be able to make and forecast smart decisions about current and future operations, finances, trends, and more. As a result, you’ll have knowledge you need to stay competitive with your offerings. Consequently, you can increase customer success by analyzing specific business relationships and using that knowledge to make the optimal next move. Whether you’re a single entity or multi-national conglomerate, DynaRent Business Intelligence fills critical gaps needed to sustain & build health. DynaRent offers built-in, configurable data cubes for analysis that can incorporate data and capabilities from multiple sources and other BI tools. Furthermore it ha fixed asset analysis in Dynamics AX, equipment utilization drawn from IoT devices, efficiency analyses for third-party carriers—name your need. You can tailor BI logic to create general and granular reports in multiple formats that are relevant and targeted to specific internal and external audiences. 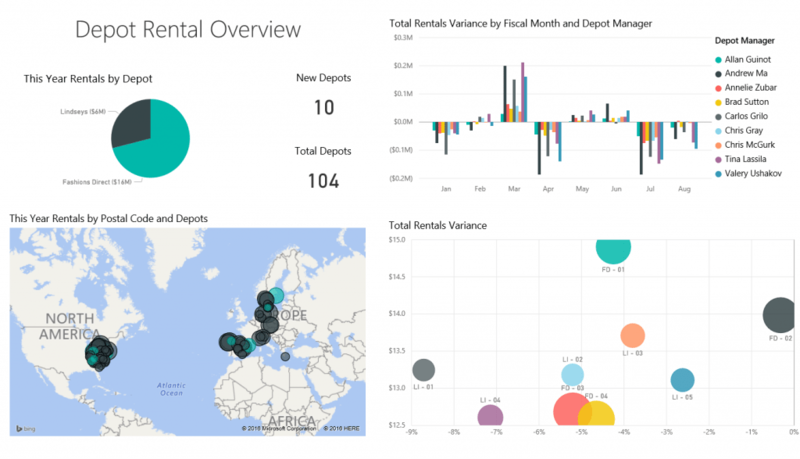 You can also combine DynaRent data with other data sources and take advantage of Microsoft Power BI to create any kind of analysis you want, and publish real-time results through DynaRent role-based dashboards, via Power BI apps, on SharePoint, or other channels. A few dashboard examples are shown below, illustrating how you can capture essential KPIs across multiple locations that you can then take to the next level for improving operational and service efficiency and market strategy. 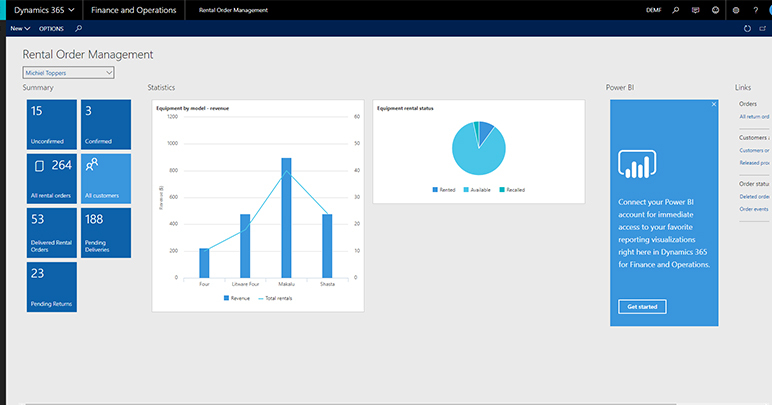 Compatible with third-party BI solutions such as Power BI, Targit, Clickview etc.